Shiny Togedemaru in game: 47 Who? Important notice! Pokemon Shiny Togedemaru is a fictional character of humans. Togedemaru (Japanese: ????? 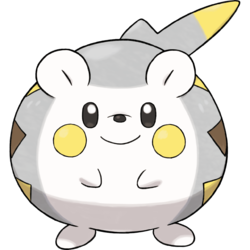 Togedemaru) is a dual-type Electric/Steel Pokémon introduced in Generation VII. 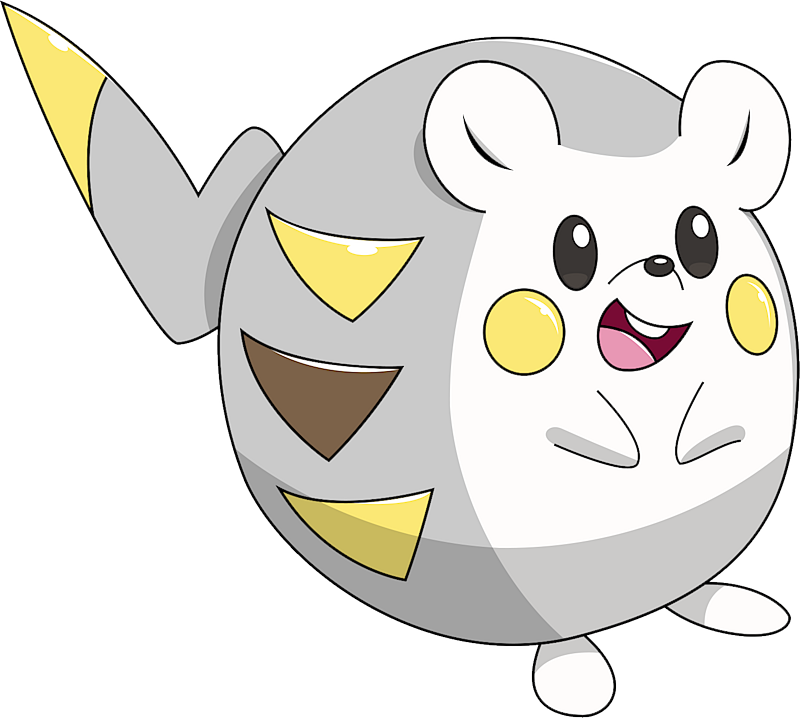 Togedemaru is a spherical, rodent-like Pokémon. Most of its front is white, while its back is primarily gray. It has black eyes, a short pointed snout with a black nose, and a circular, yellow marking on each cheek. Scattered across its back are yellow and brown triangular markings, which this Pokémon is able to extend straight up when attacking. There is a tail-like needle on the back of its head. The needle is gray with a yellow tip and is shaped like a lightning bolt. Additionally, it has stubby arms and legs. Togedemaru uses the needle on top of its head to attract and gather electricity. Groups can be seen gathered with their needles standing upright, waiting to be struck by lightning on stormy days. Some Trainers use its ability to absorb electricity as strategy in battle. The opponent is coaxed into unleashing an Electric-type attack, and then has that power turned against it. 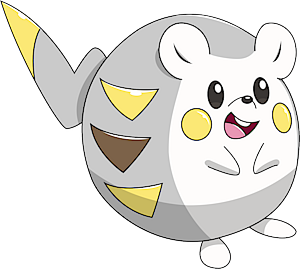 Togedemaru can also curl into a ball to make its fur stand up in a ball of prickles. It is the only Pokémon to learn the move Zing Zap. Sophocles owns a Togedemaru which first appeared in Alola to New Adventure!. Togedemaru may be based on a New World porcupine, a hedgehog, or a Ryukyu spiny rat (????? togenezumi in Japanese). Togedemaru may derive from ? toge (thorn or spine), possibly ?? denki (electricity), and ? maru (round). It may also literally be meant as ??? toge de maru (thorned and round).